Here are the new raised garden beds that the Orange Village Maintenance Department is building for the community garden! Some plots have one large (10X20, I think) raised bed, and others have two smaller raised beds. The beds and paths are lined with garden cloth/weed barrier. The paths are covered in a thick layer of wood chips. The Maintenance Department has done a fantastic job improving the aesthetics and functionality of the garden. While gardeners are still expected to weed their own garden beds and paths, these improvements should definitely help cut down on weed growth in the beds and paths this year! 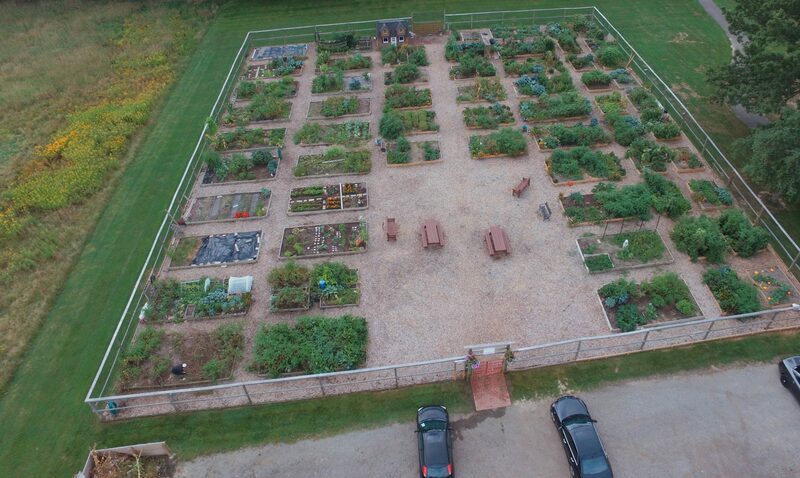 There are currently still several garden plots left to rent. Why not rent a garden plot and come join us this year? The rent is $25/year, plus a $75 deposit. This is quite a bargain, when you consider the cost of building a raised bed, lining it with weed barrier, filling it with soil, and lining a path on your own property. Come join a fun group of folks who love gardening and community. In future posts, we will highlight some of our gardeners, from beginners to master gardeners. Here are a few more photos of the garden on April 29th, 2016. First plantings in the new raised beds! There are still garden plots left for you to rent! Come join us! Our community garden is fenced to keep out wildlife, and there is a beautiful park with walking trails next to it. The picnic tables provide a nice shady spot to take a break. Look at the thick weed barrier and thick layer of wood chips that will help prevent weed growth! This is one of the raised beds put in a few years ago. This gardener is already enjoying fresh growth on his raspberries, blackberries and strawberries this year. Stop back by for more garden updates and events! Stay tuned for more information on the Community Garden Open House on Memorial Day weekend!